With firm commitment to quality, we are manufacturing, supplying and exporting Polyester Cotton Blended Canvas. We offer these polyester cotton blended canvases to the customers in a spectrum of patterns, weaves, shades and different finishes in order to meet their requirements. 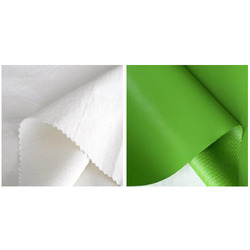 We offer a wide range of Polyester Cotton Canvas. Our fabric treatments protect canvas from Weather Extremes, Tropical Rains, Moulds, Rotting, Ultra Violet etc. The fabrics can also be given Wrinkle Resistant Treatments, Flame Resistant Treatments, Oil Resistant Treatments and Disruptive Prints etc. Our range of commercial canvas is too extensive to list here, however, we have given details below of the most common qualities. If what you are looking for is not listed then please contact us via the [Inquiry Form] page for details.